Clinicians are making ongoing efforts to discover useful prognostic factors in this new IMRT era, given that IMRT has already been shown to have different dosimetric characteristics than three-dimensional conformal radiation therapy (3D-CRT). 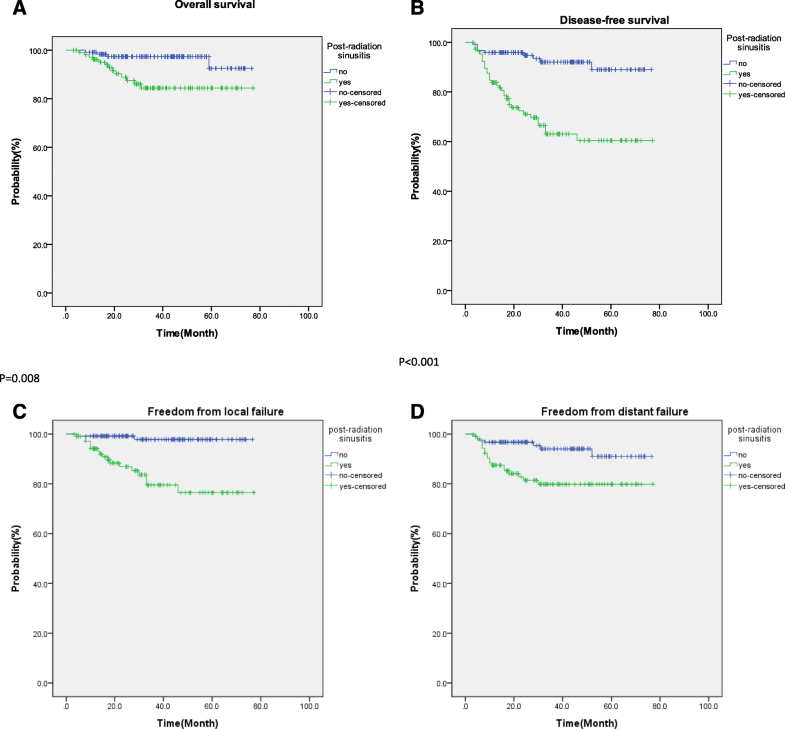 Some researchers have analyzed the patterns of local and regional failure [4–6], while others have sought to identify different predictors for local recurrence [7–10]. For local recurrence, the T stage is still the most well recognized prognostic factor, while tumor volume is a somewhat controversial predictor of local recurrence and cutoff volume is still being investigated with regard to its predictive value [8, 9, 11, 12]. Most authors agree that distant metastasis continues to pose the most difficult treatment challenge despite the use of combined chemotherapy. After treatment, Epstein-Barr virus (EBV) DNA is helpful for surveillance [13–15]; however, the quantitative methods used in each laboratory are different, and the interpretation criteria vary for every facility. So, practitioners are making efforts to investigate new available and useful prognostic factors for the purposes of surveillance after treatment. After completion of the treatment, routine follow-ups were conducted every 3 months during the first 3 years, and then every 6 months thereafter. These follow-up evaluations consisted of a physical examination, nasoendoscopy, CT or MRI scan, chest x-ray, and abdominal sonography. Late toxicities were recorded in medical documents during follow up.Sinusitis was defined radiologically via CT scan or MRI scan [19–21]. The diagnosis criteria were as follows: enhanced scan showing fluid accumulation or opacification in the paranasal sinuses, or thickened sinus mucosa with trapped secretion, effusion, or air/fluid in the sinus cavity. Pre-radiation sinusitis was defined according to the imaging performed at the time of diagnosis, while post-radiation sinusitis was defined according to the imaging performed more than 6 months after the radiotherapy. Massive improvement from pre-radiation sinusitis was also regarded as negative post-radiation sinusitis. The occurrence of sinusitis was determined by CJH, MCPS and PTF. To our knowledge, this is the first study to have demonstrated a relationship between post-radiation sinusitis and local recurrence. Post-radiation sinusitis is not uncommon after RT. In past studies, the incidence of post-radiation sinusitis was found to be highest at 3 to 6 months after RT, ranging from roughly 50 to 75% in NPC survivors following RT, and then gradually decreasing thereafter [21–23]. In those studies, sinusitis referred to radiological evidence of sinus mucosal change as opposed to any aspect of the clinical presentation. In the present study, the presence of post-radiation sinusitis more than 6 months after treatment was one of the prognostic factors indicating poor outcomes in terms of DFS, FFLF, and FFDF. Because post-radiation sinusitis tends to decrease and stabilize between six months and about a year after treatment, we documented the presence or absence of sinusitis during this period. Moreover, it was also reasonable to use post-radiation sinusitis at 6 months to 1 year after radiotherapy as a predictor given that most cases of recurrence occurred within 2 years in the present study. Thus, the presence of sinusitis documented 6 months after RT may be good cutoff time point for clinical practitioners seeking to predict local recurrence. 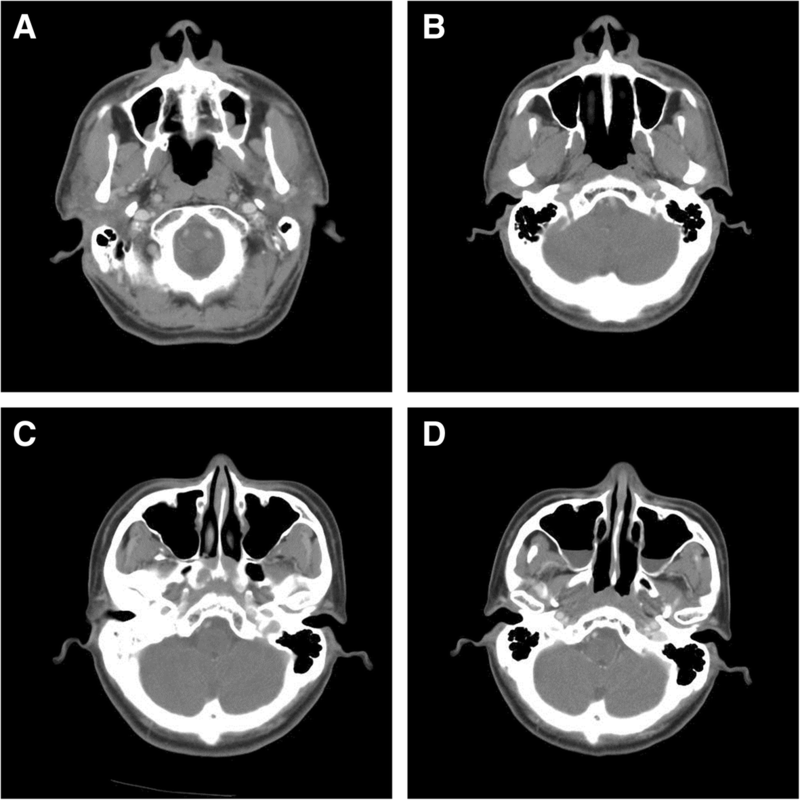 Figure 2 shows changes in the sinuses from before to after RT in two patients. The images in Fig. 2a and b show a patient whose sinusitis was diminished post-RT and who then remained disease-free for 5 years. In contrast, the images in Fig. 2c and d depict another patient who developed bilateral maxillary sinusitis by 1 year post-RT and then experienced local recurrence as confirmed by biopsy. There is no doubt that IMRT is currently the treatment of choice for NPC, because it can provide superior dose conformity to the target and better protection of surrounding normal organs than 2D RT [18, 26]. These dosimetric advantages of IMRT can be translated into better clinical outcomes. Some authors have even advocated that IMRT can partially fill the role of chemotherapy . However, in advanced stage NPC, combined chemotherapy is still the standard form of treatment. It is worth mentioning that, in the present study, most of the stage II-IVB patients (73.5%) received NACT followed by RT or NACCRT, indicating that NACT showed promising results, at least in the endemic area [27–29]. Furthermore, the OS, DFS, FFLF, and FFDF of the patients in the present study were comparable to those of patients in previous studies [2, 26, 30–34].